This tart recipe has been handed down from Doris’ mother and my grandmother, Ella Broussard. Cream together the Crisco and sugar until fluffy. Beat eggs and vanilla into mixture. 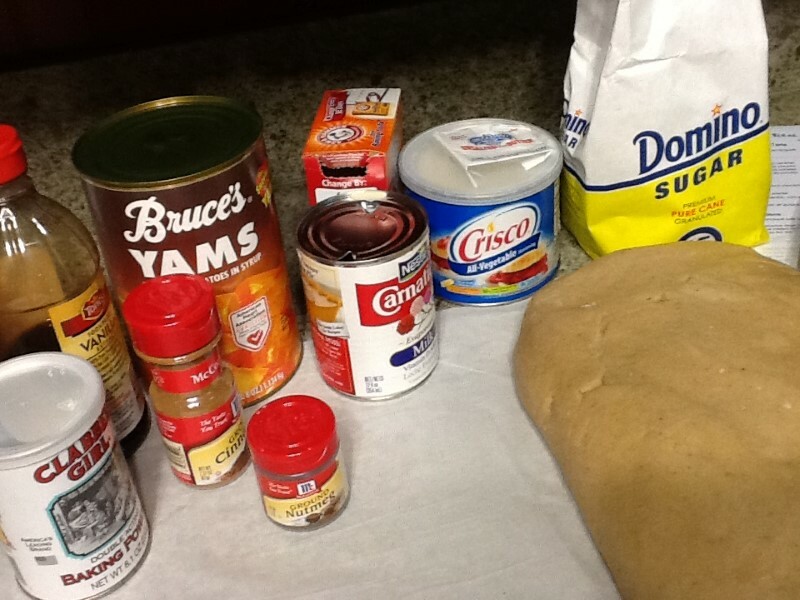 Slowly stir in the flour and baking powder until dough is smooth. Form dough into fist-sized balls. Roll out to 1/2-inch thickness. Spread fig, blackberry or other filling of your choice onto half of the rolled out dough. Fold the other half of the dough over the filling. Use a fork to seal the edges together. A bowl may be used to roll around the edge to make it even and cut off the excess dough. Repeat the procedure with the other dough balls. Once I have mixed my dough and it is prepared to make tarts, I put the dough in the fridge for at least 2 hours or overnight. The dough becomes easier to work with. This recipe should make at least 2 dozen tarts, depending on the size of the tarts you make. Place the tart pies on a cookie sheet and bake at 350 degrees until golden brown; approximately 12 to 15 minutes. Do not overcook.